Here are the questions that I get asked most as well as the corresponding answers for your reading pleasure. I get emails every day asking how to partner with me. The majority of the answers are pretty simple and to the point. Most likely these are the questions you too are wondering about and want to know before you contact me about your project. What type of WordPress Consulting services do I offer? What does a new WordPress site cost? What if you just need WordPress help and support? What if you just need a little coaching? What forms of payment do I accept and how do I invoice? How long does it take for your project to launch? How do we begin working on your Website project? Can I help you learn how to set up, use and modify your WordPress Website and it’s features? Examples of other WordPress sites I’ve worked on? Where can I get an idea of what to expect? 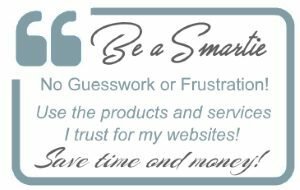 After 24 successful years in the online consulting business, running more sites than most including eCommerce, (and working with WordPress since it was born over 15 years ago and before it was the “latest thing”), I am in the enviable position of having a particular set of skills and experience that will help you succeed online. This experience translates into guiding you with best practices during the site development process. After your launch, tap into advice and coaching for WordPress How-tos, plugin recommendations, marketing, email, social media, SEO and content guidance so you are on the right track. Partnering with me will make sure that you will have a beautiful contemporary responsive WordPress website that will enhance your brand and grow your business. But that’s just the beginning. You will work directly with me and will benefit from the White Glove Service you need to reach your goals. I limit the number of Netrepreneurs I work with so that you can have my full attention and support. You’ll get the answers and direction you need — when you need it. If you are seeking out a partner you can trust, who responds to your inquiries promptly with courtesy and professionalism, educates you along the way and ensures you understand what is required to reach your goals, I’m your gal! To make sure that I can offer the White Glove support my current clients rely on, I can only take on a limited number of new projects at any given time. I am always pleased to review your needs and project to see how I can be of service! 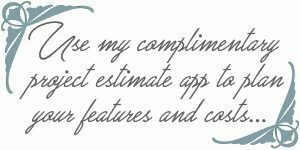 If you would like a new look for your current site or a brand new WordPress website, use my Complimentary Project Estimate Application to view all the features and services offered. You’ll then receive a detailed estimate by email. Simply put the support, information and resources you need to help you succeed online. My personalized services focus on consulting and coaching new as well as established businesses by offering my 23 years of successful proven online knowledge, experience and expertise. 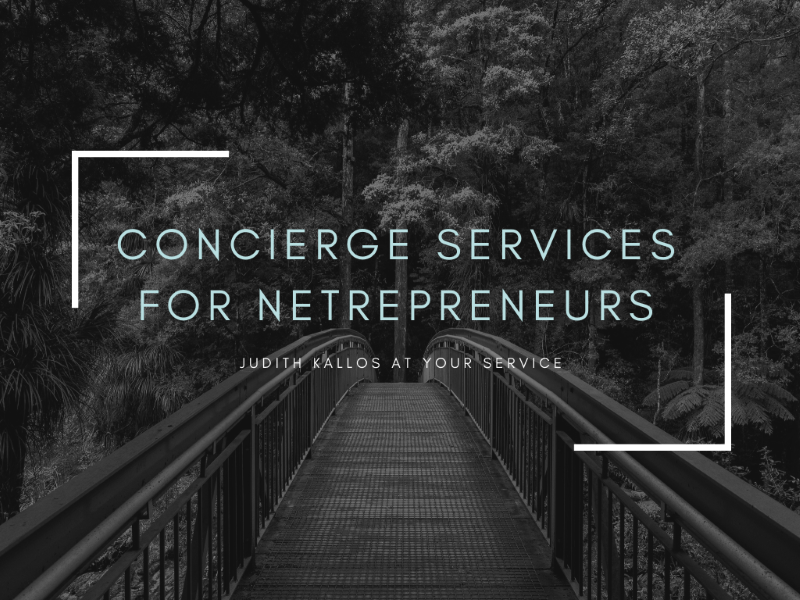 My unique methodology caters to astute business owners that desire one-on-one support and exclusive access to an established and seasoned professional clearly sets me apart. Together we won’t just create your new WordPress site, as part of all my customized packages we’ll also discuss marketing and other important issues that will determine your online success. WordPress brings the benefits and interactivity of Social Media and the latest features to your program. WordPress also puts the power and ability to keep up and grow your site in your own hands so that you have the best chance for success in the über competitive online environment. With this in mind, you can see why my New WordPress website packages include my one-on-one support. And, in your Live! Launch Session, I will coach and guide you the important topics and variables necessary to your long-term success. Login Area : The first thing our walk-through will cover is the login area. We’ll cover how to log in as well as how to reset your password in case you ever need to do it. Dashboard Walk-through: We’ll go over the entire dashboard and explain how to use the sidebar to access the main modules you will need such as posts, pages, media, and others. Adding New Posts and Pages: The next item in the walk-through will be how to add new posts and pages. I’ll show you how to edit existing posts and pages, how to format text, add images or other media files, how to set categories, schedule posts, and other information you will need to successfully add content regularly. Working With Images and Other Media: I’ll explain and show how you can access images and media in the media library that you have previously uploaded to the website and how to work with media library in general. Editing Menus: Next we’ll cover how to new pages to your navigation menus, how to create new menus, and how to link to categories and important considerations when working with menus. Widgets: Where to use and how to configure. It really depends on what you need. Redesigns start at $299; basic new “brochureware” sites at $795. Having crafted sites for over two decades I know for a fact that every client request for a premium website is different and varies dramatically. That is why I offer my real-time complimentary “Craft Your Custom Site Estimate” application. You can use my application to choose the features and functionality you desire to get a good idea of what your project will cost. You’ll also see all the goodies, features and support that are included with each package! Once you make your choices I’ll send you a detailed estimate by email. No obligation and you will not hear from me unless you reach out. New sites require your $500 deposit, ReDesigns $125 to get the ball rolling. Submission of your deposit reserves a spot in my production schedule and starts the brainstorming process. Being new project opportunities are limited, your deposit ensures your placement on my current production schedule. By getting your deposit in place, your account is then in queue to receive priority status. New “consulting only” clients are required to purchase an hour of my time in advance so I can make sure to earmark time for you in my schedule. I offer superior personalized support to each of my clients therefore it is critical for time-management purposes and customer service levels that I be able to identify those potential clients who have committed to their project as well as our partnership. No problem! Let me know what you need! If you desire one-on-one coaching, brainstorming, site improvement discussions or walk-throughs, you can hire me for the time you need to carry out your desired task or to resolve any problems you want to discuss. My Live! videocon sessions are perfect for screen-sharing where I can show you step-by-step how to accomplish desired tasks. I also offer subscription White Glove WordPress Support which includes WordPress Updating, Performance, Security, Maintenance and SEO Reporting — and coaching. Coaching is one of my most asked for services! Based on your stated goals, I can guide you on how to use WordPress, social media, establish your brand and set up your online business. Anything to do with running a successful online endeavor is on the table. No matter how long you’ve been online, there are nuances and details you need to be aware of and apply to experience any level of ROI online. I invoice on the 1st of each month. Services are billed based on time spent in 10 minute blocks. Terms are “Due Upon Receipt”. From my side, your project will be ready within 30 days — possibly sooner with your dedication and cooperation. Ongoing delays will only be due to you not providing the information I need to develop your project per your guidance. IMPORTANT: Upon receipt of your project deposit, your project’s package balance will be due once my job is completed or 30 days from the date of your deposit submission — whichever occurs first. After reviewing this page in its entirety, if you haven’t already Craft Your Project Estimate. This will provide you with the available features, functionality and cost. Once you are empowered with that information, contact me with your project details. Absolutely! You can most certainly have WordPress help when needed! Once added to my client list you can rest assured that for WordPress help and troubleshooting I am only a phone call or email away when you need help. And don’t forget about backups, security, WordPress and plugin updates! You can have me handle all that for you by signing up for my WordPress White Glove Subscription that includes consulting and a 15-20 page Intelligence Briefing report on the first of each month. I’ve been a successful online consultant for over 24 years, collaborating exclusively on WordPress since it was born over 15 years ago — so I’ve literally lost count. First and foremost, this very site is all WordPress — so you can get a comprehensive idea of what can be done and how I am using the WordPress platform and a Premium WordPress framework and theme for my business. Simply review my site! One thing I do not do is hide information from you, sugar-coat issues or cater to all the online hype you’ll find elsewhere. Online business is not for the weak of heart. Are you an Extraordinary Netrepreneur? (I bet you are!) If you are up to the challenge that technology demands of each of us; I am here for you. Taking the time to check my site is time well spent!